Oldham Little Church Foundation is the living legacy of a frugal, ruggedly individualistic business pioneer who possessed an abiding faith in the Lordship of Jesus Christ, and a tireless devotion to his fellow man. Morris Calvin Oldham was a typically American "empire builder" who had the rigid determination and courage to succeed in life. He thrived in an era labeled by man as "The Lost Generation," which was a time of war, depression, and much religious disillusionment. He was born April 28, 1886 in Springfield, OH. He left Springfield to study at Cornell University, Ithaca, NY, where he played football. He graduated in 1910 with a Bachelors of Science in Agriculture. After two years of employment doing odd jobs, Mr. Oldham moved to Texas, establishing himself in Houston to carry out his dream of providing a high-caliber dairy dedicated to quality and service. In 1914, in his own words, “I hitched up a horse to a dairy wagon, went out and sold my first bottle of milk.” From modest, grass-roots beginnings emerged the Phenix Dairy. Guided by Oldham’s progressive dynamism, Phenix Dairy set a rapid series of “firsts.” It was the first dairy in Houston to pasteurize milk properly, produce homogenized milk and buttermilk, deliver refrigerated milk directly to the refrigerator and make day-time deliveries. In time, Phenix grew to be the largest retail milk delivery trade, not just in Houston, but all of the U.S. south of Saint Louis, MO, having established branches in Baytown, Cleveland, Edna, Wharton, El Campo, and Bay City, TX. Mr. Oldham took great care of his employees, even reducing the price of Phenix Dairy stock to enable them to buy as many shares as they desired, while maintaining control of the company. Success in the business world made it possible for Morris Oldham to play a significant part in fulfilling one of his heart’s desires – a yearning to bring the teachings of Jesus Christ to his fellow man. He was a great believer in the ability of small churches to win souls for Christ and to grasp the significance of Christianity for today’s world. 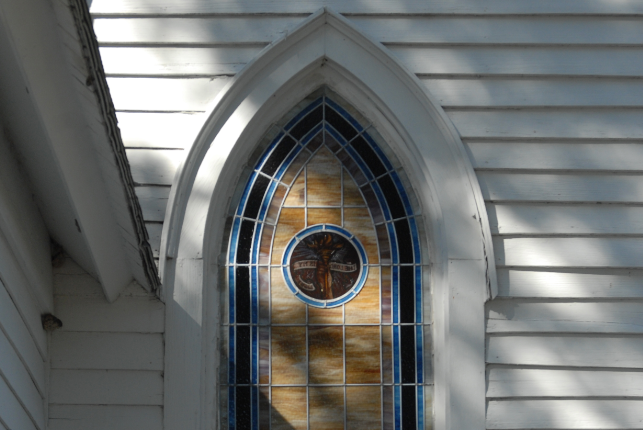 Mr. Oldham recognized that, because of their size, many churches failed to survive, lacking adequate financial backing. Thus was born Oldham Little Church Foundation. The foundation was established in 1949 with a $3 million trust and a five-person Board of Directors in order to assist small, evangelical Protestant churches with facility completion grants. A single $2,000 grant was awarded that first year. In 1952, Phenix Dairy was merged with Foremost Dairy and Mr. Oldham became inactive in the dairy industry, devoting himself fully to Oldham Little Church Foundation. In that same year, his spiritual leadership and financial support helped make the 1952 Billy Graham Revival and Crusade in Houston an overwhelming success. During a luncheon meeting, Graham announced plans for a new Christian film “Oil Town, USA”, explaining that Second National Bank had agreed to furnish the $75,000 necessary for the film, if persons in Houston would underwrite the amount. Without hesitation, Oldham arose and addressed those present, saying, “I will underwrite all or any portion of the $75,000 which is not otherwise underwritten.” His spontaneous generosity prompted additional offers from others at the luncheon and Graham received the $75,000 he needed. “Oil Town, USA” was subsequently shown to millions of people throughout the world. The film repaid the debt and no one was required to make good on his guarantee. Although his generosity was not limited to that denomination alone, Mr. Oldham was a devout Southern Baptist and a founding member of Second Baptist Church of Houston. He personally paid all the deficits incurred by the church during his three years as the church’s financial chairman. For a period of time, he served as a Vice President for Star of Hope Mission in Houston, a Houston sanctuary for those without hope; Director of Palacios Baptist Encampment; President of Houston Boy and Girl Builders; executive committee member of Boy Scout Council Board for the Sam Houston Area; past Director of the Rotary Club of Houston. For many years, he was a Director of City National Bank and also a great supporter of The Navigators in Colorado Springs, CO, an organization that helped train Billy Graham crusade counselors. Mr. Oldham did not like to see money wasted and was a man of very simple tastes, shunning publicity and extravagances. The millionaire had “saved to serve and saved to give”, according to the Houston Post at the time of his death, having given “freely, but wisely, driving a Plymouth, instead of a Cadillac.” An example of his thrift is an incident which occurred when a well-known evangelist telephoned to ask for a contribution to his radio program. When promised a generous donation, the evangelist said he would immediately go to Oldham’s office in a taxi to receive the check. “Nothing doing,” Oldham replied. “We’ll save the taxi fare. We’ll both walk and meet halfway” and they did. Morris Calvin Oldham passed away in Houston at his home, 2508 Pelham Drive, Tuesday morning, July 19, 1955 at the age of 69. He was survived by his wife, Florence Miller Oldham, whom he had married at Second Baptist Church, January 27, 1937. He passed away largely unknown by many Houstonians, in spite of great financial success and extreme generosity. When he named his dairy, Mr. Oldham chose the name of the bird which symbolized immortality to ancient Egyptians, the phenix. Through his tireless work and devotion to spreading the Word of God, Mr. Oldham found his own immortality. As “God’s man doing God’s work” he was kind, compassionate and generous to everyone. Through his wise counsel and financial support, he was very instrumental in setting many Houston youth on the path to success and service. His support to churches throughout the world has left an invaluable mark for eternity and the Kingdom of Christ. Today, Oldham Little Church Foundation continues to serve small Protestant churches. Mr. Oldham’s initial trust of $3 million has now generated over $43 million in grants to over 16,400 churches.